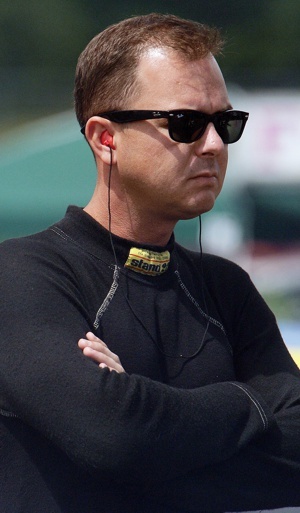 June 26, 2014 --Every time he feels things are going badly for his Capco Contractors Top Fuel team, Steve Torrence recalls 2000 and quickly reassures himself that whatever his current issues might be, they are far from insurmountable. As a teenager, Torrence won a battle with Hodgkins lymphoma. It was a victory that has given the young Texan a perspective not available to most of those against whom he will race this week in the 17th renewal of the O’Reilly Auto Parts Route 66 Nationals. “You just have to play the cards you’re dealt,” Torrence said of the philosophy that drives him in life just as it does on the racetrack. “We’ve had some things happen the past few races, but you just deal with them and try to get better. We’re the same team that went to the semifinals six times (in the first seven races this year). Although he is winless on the year, the 31-year-old is sixth in Mello Yello points behind drivers who have won eight of the last 10 series championships. He is the only driver among the Top 8, in fact, who has not yet won this year, an oversight he would like to rectify at Route 66 Raceway. The odds actually are in his favor. 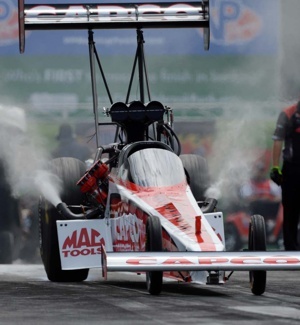 After four consecutive first round exits, the former Top Alcohol Dragster World Champion (2005) will roll to the starting line this week on a track on which he was runner-up in 2012 and on which he never has failed to advance out of that troublesome first round. Furthermore, he’s simply overdue. After winning three times in 2012 and once last season, the second degree blackbelt (in Tae Kwon Do) has gone a full calendar year without getting his 10,000 horsepower hybrid back into the winners’ circle.